It may only be June, but the Houston Astros have already set themselves apart as one of the best teams in baseball. The offense has been firing on all cylinders and a revitalized Dallas Keuchel has led the staff to new heights. It’s all translated into the MLB’s best record. It might be a little too early to anoint these guys as the World Series favorites, but I think we’ve seen enough to give them the American League West title. New to betting on baseball? We’ll show you the ropes with our article on how to bet baseball. The Astros have opened up the biggest division lead in all of baseball (so far) at 14 games. Obviously, that gap could be closed by a team getting hot, but can anyone out west pull it off? Right now, I’d bet that those teams would be happy just to avoid getting swept by Houston, let alone win a series against them. That’s how good the Astros have been in the first 2 months. Sure, Houston could fade down the stretch as we still have 4 months to play, but even if they do, who’s going to catch them? Brush up on your fundamentals with our baseball betting totals. The second factor at play here is how poorly the rest of the AL West has played. Excluding the leader from each division, the AL West is the second-worst division in baseball behind the NL East. Each team is under .500 on the year and none of them have reached the 30-win mark yet while Houston has already eclipsed 40. None of those other teams are showing any signs of life, either. Not sure where to do your betting? Here’s our list of the best baseball sportsbooks. The Angels, Mariners, Rangers, and Athletics all have their issues and it doesn’t look like they’ll be turning it around anytime soon. The LA Angels lost their best player, Mike Trout for a few months. If they couldn’t get over .500 with the best player in the world in their lineup, how are they possibly going to do it without him? Not happening. The Athletics just don’t have the talent of a division-winning team in the majors. They’ve got some good, young players, but nothing that makes you think they could go on another one of their patented September runs. Texas and Seattle have the best odds. The Mariners could contend, but they’re going to have to turn things around and they’ll need Jean Segura back in the lineup sooner than later. Despite having sluggers like Robinson Cano and Nelson Cruz, the Mariners haven’t been able to put it all together. Texas has the best chance to pull it off with a talented, powerful lineup and a decent rotation led by Yu Darvish. The Rangers will need to be consistent, though. They can’t afford to be red hot for one week and cold for the next three. Clearly, that’s not getting it done. 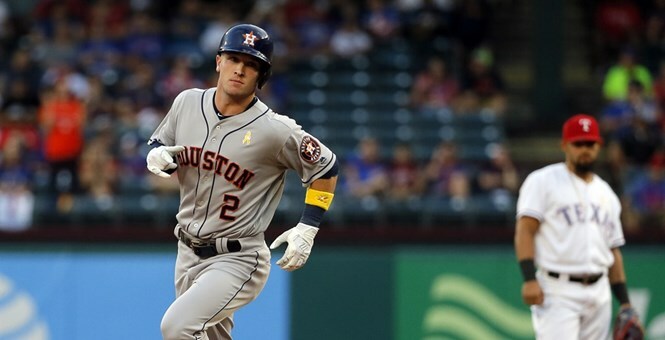 Houston has a great combination of power, speed, and pitching and it’s going to carry them to an AL West, the playoffs and maybe even the #1 seed in the American League. At this point, the AL West is theirs to lose.